Catch Up on SBS 2 and watch online on TVCatchUpAustralia.com. Catch Up on SBS 2 and watch TV online. SBS 2 is an Australian TV channel with 908 programs to watch online. That's more than 6,330 hours of playtime! Recent popular programs include Cold Prey, Cycling Central, Halfworlds, Storm and Show Me Love. Catch up on Cold Prey and watch online. Find the latest episodes of Cold Prey, broadcast by . Catch up on Cycling Central and watch online. Find the latest episodes of Cycling Central, broadcast by . Catch up on Halfworlds and watch online. Find the latest episodes of Halfworlds, broadcast by . Catch up on Storm and watch online. Find the latest episodes of Storm, broadcast by . Catch up on Show Me Love and watch online. Find the latest episodes of Show Me Love, broadcast by . Catch up on Safety Not Guaranteed and watch online. Catch up on Oxyana and watch online. Find the latest episodes of Oxyana, broadcast by . Catch up on Sleepless Night and watch online. Find the latest episodes of Sleepless Night, broadcast by . Catch up on Byzantium and watch online. Find the latest episodes of Byzantium, broadcast by . Catch up on The Yellow Sea and watch online. Find the latest episodes of The Yellow Sea, broadcast by . Catch up on The Feed and watch online. 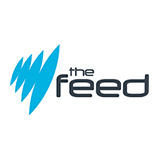 Find the latest episodes of The Feed, broadcast by SBS 2. Catch up on SBS World News and watch online. 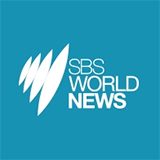 Find the latest episodes of SBS World News, broadcast by SBS 2. Tim And Eric's Awesome Show, Great Job!